And now for something completely different. Well, not completely different. 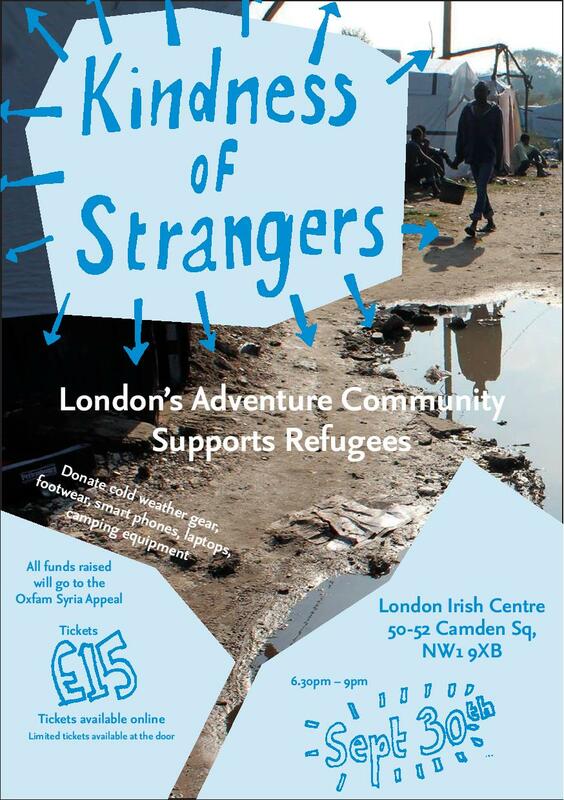 I’d like to invite all of you, warmly and persuasively, to come to an event I’m speaking at in London on the 30th of September, to raise money (and collect winter clothing) for the refugees at Calais. Of all the talks I’ll give this year, this is the most important. I know I’m not the only one who worries that my adventuring is ultimately a fairly selfish pursuit, with nothing more than the vague justification of ‘inspiring people’ to assure me that I’m making any positive difference to the world. Worse still, there’s the distastefulness of doing for fun (and for glory) what many are obliged to do for survival. When I tramped and camped my way across Europe everyone told me how brave and inspirational I was. Many refugees are currently making similar journeys in the opposite direction, and being met with hostility and suspicion. A young man I know travelled to the UK from Iran a few years ago, hiding in the back of a truck for ten days. 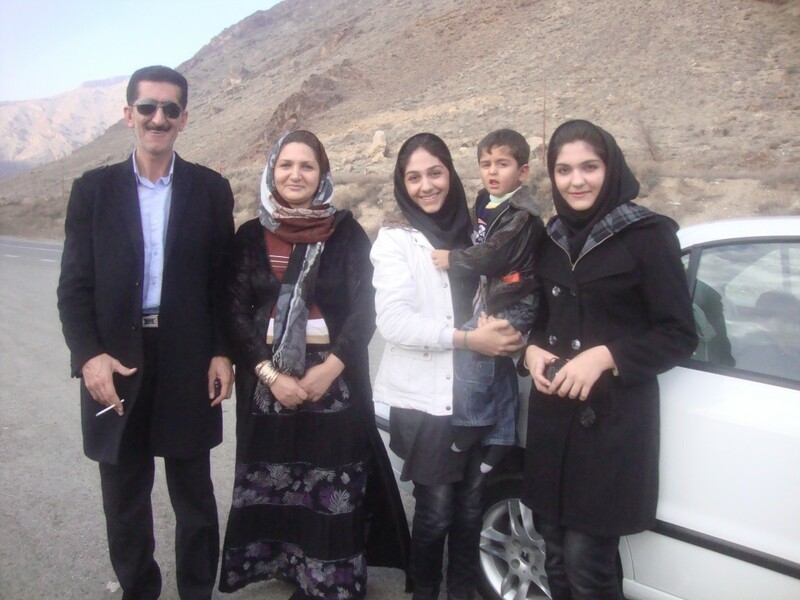 He was eventually refused asylum, and now lives with his family back in Iraqi Kurdistan. If I had chosen to pass that way on my Asian journey a few years ago, I wouldn’t even have needed a visa to enter Iraq. Really, donating a few quid, an evening of my time and an armful of my outdoor gear is the very least I can do. If you’ve been reading my blog for a while, you’ll be well aware of how much I have benefitted from the kindness of strangers during my travels. Remember Elly and Karel who took pity on me on my second night in Belgium, when I was scared and exhausted? Remember Fabien, the French mountain guide who took me in during a storm in Slovenia? Remember Jez, the friendly Peace Corps volunteer who put me up when I was ill in Bulgaria? 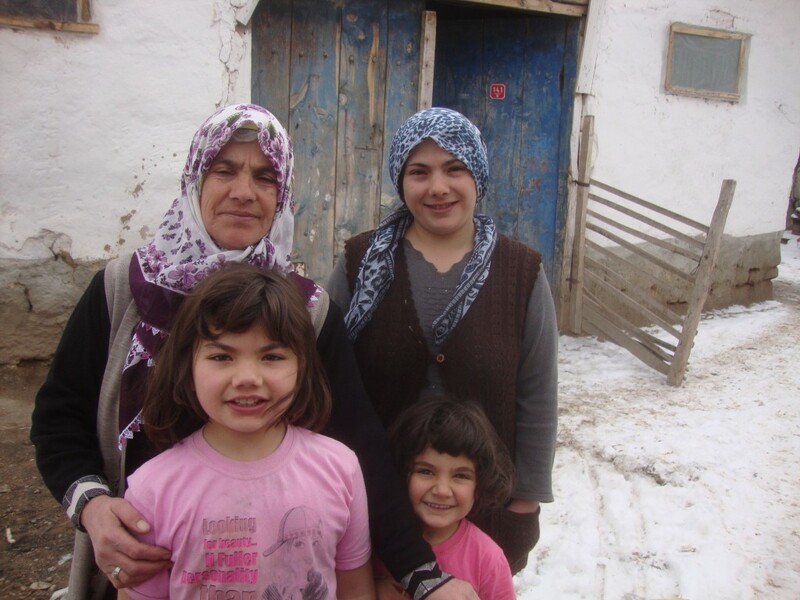 Remember all the wonderfully kind people in Turkey, who made my winter journey there such a delight? 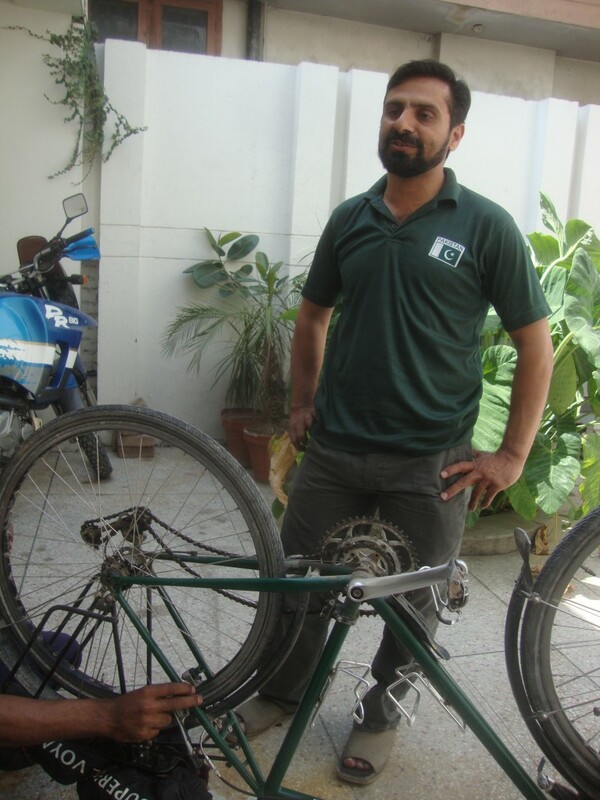 Remember the heroes of the Pakistan National Cycling Team, who came round and fixed my bike for me? Remember the man who flagged me down and gave me a hamburger, one windy night in northern Japan? 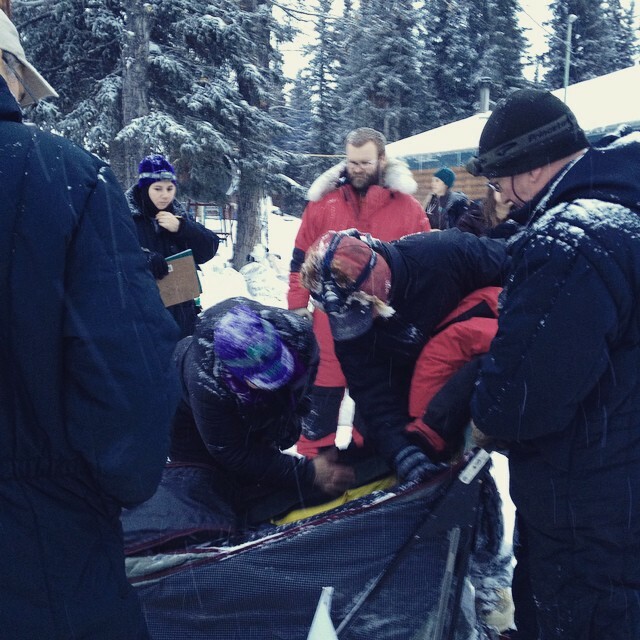 Remember Judy and Richard, who invited me to the dog race in Alaska? There are good people all over the world – this is your chance to be one of them. Please pay your £15 (all proceeds to Oxfam’s Syria Appeal), please gather up some of your old clothing and camping gear, please come along and listen. There will be some truly excellent speakers there (Kate Rawles and Julian Sayarer are particular favourites of mine), and a bar and, most of all, the opportunity to recognise the good fortune we all have to be able to travel adventurously and recreationally, and to lend a hand to people very much like ourselves, who travel because they have no other choice.